to make Copenhagen their home. scientists and students to the region. will oversee its construction and development. Copenhageners to meet their neighbours and peers. live, study and work for all who reside here. in the development of the ISCC. Cité Internationale Universitaire de Paris - "Cité U"
up more than fifty percent of the residents. workshops, concerts and lectures all year round. "Your project is interesting and praiseworthy. I find it admirable that the ISCC will create a framework for the exchange of ideas and the building of bridges between Danish, Nordic and international students." "...The International Student City of Copenhagen (ISCC) sounds like and exciting and higly relevant project.....the Danish Government is highly focused on integrating the international perspective and outlook into higher education in Denmark....it is a well known that it can be difficult for international as well as Danish students to find housing in Copenhagen, therefore it is also a relevant initiative you have begun." "His Royal Highness the Prince Consort Henrik of Denmark has asked me to thank you for the ISCC plan that the Prince will study in further detail. Prince Consort Henrik will follow the development of the project with great interest." The International Student City of Copenhagen (ISCC) is a project founded by 7 prominent figures of Danish politics and business life. The vision for ISCC is the establishment of an international student city as a Nordic equivalent to the Cité Internationale Universitaire de Paris, a successful community initiated in the 1920s. With 15 hectares of land located by Sundby metro station in Ørestad, the plan for ISCC is to be able to offer 5000 studio apartments to foreign and Danish students within the next 10-15 years. SEE THE PROJECT ON ONE PAGE BY ClICKING HERE! See the video from our fact finding mission to CIUP in October 2014. See the official video from Cité Internationale Universitaire de Paris here. 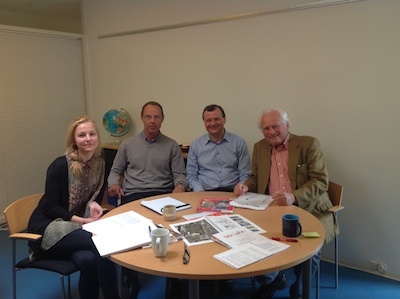 From left to right: ISCC secretary Olga Boubnova, Director of International Programs Tom Dahl-Østergaard, Deputy Director Niels Henrik Larsen, ISCC founder Jørgen Rossen. 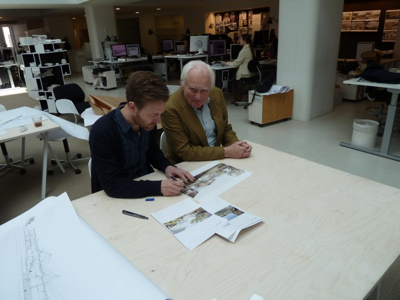 18/3/13: Henning Larsen Architects, Jørgen Rossen and several other founders has recently been working on a masterplan for the ISCC Project, which can be downloaded in the left column of this page. 12/3/13: Berlingske recently wrote an article concerning the potential of attracting international students to Copenhagen and this is exactly what ISCC states; attracting international students to Copenhagen is an invesment very well worthwhile! 26/2/13: We have now updated our 'Countries' page; this now includes official contacts for every country involved in the project, a draft of the ISCC project in numerous different languages, as well as words and opinions from some of our contact persons.